Spoof news: Whatever Happened To Justin Guarini? 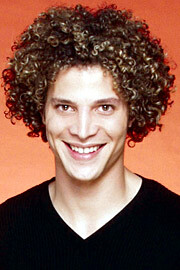 Whatever Happened To Justin Guarini? I can't believe that the press is so horrible to the runner-up of American Idol. Justin Guarini's talent and curls were ignored by the beast that is the music industry. How can we ignore the brilliance of his acting debut in From Justin To Kelly? It's tragic. Justin, you have fans. You have to make a record. Okay, another record. This time use songs that people want to hear. Justin, please. We need another Justin on the radio. There is room for more than one. I say we unite as a nation and ask Justin Guarini to come back into the music industry. It's not like he ever killed anyone, barring the water skiing incident, he's hardly a criminal at all. We need you Justin. America needs you. Please make a comeback.